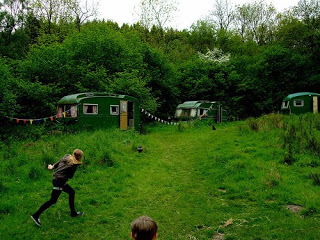 Hiding in the North Yorkshire Moors National Park, near Whitby in the UK, La Rosa campsite is like running away with the circus and quite possibly could be where the term glamping originated from. Accommodation is found in vintage caravans dotted about the campsite - all decked out in enough kitsch to make a rockabilly roller derby team roll over in their 50's skates. 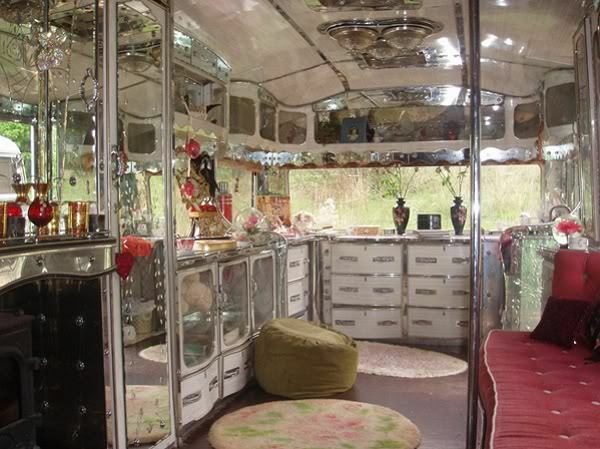 GVW stayed in the Barbara Cartland styled camper while at a hen's weekend. Pretty in pink, the little caravan sitting up on the hill was came complete with a little fridge for keeping our hens weekend drinks cold, and as there was a nip of winter in the air - we managed to keep comfortably warm under the vintage pink covers - while having a star filled night sky right out our window. La Rosa is eco-friendly and at night time the place flickers into life from the light of fairy lights, candles and lanterns. They recycle pretty much anything that can be and guests are asked to do the same - but it's a no hassle exchange as the campsite is so set up for this you won't even have to think about it. 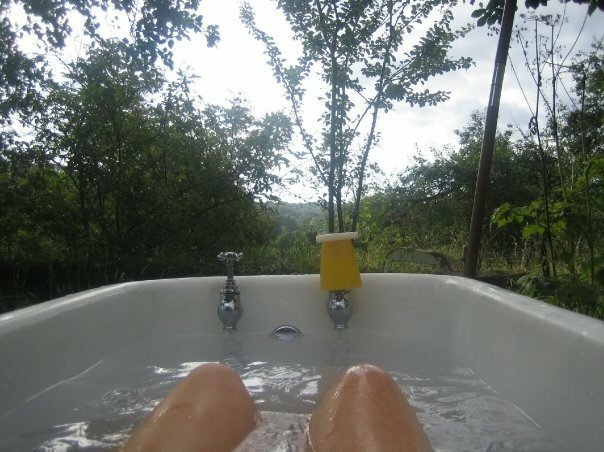 There are no showers in the caravans but they have a converted barn complete with hot running showers 24/7, an open air bath tub that allows you to sit in the hot water and stare out over the English countryside, and the toilet is in a compost Gypsy caravan. When you're not mesmerised by your caravan, the campsite encompasses a tee-pee for all day, late night parties. A full sized circus tent, with a communal kitchen (complete with all the cups you'll need for those English teas! ), a vintage bar to serve cocktails from and enough dress up clothes to keep Halloween happy. La Rosa is also a quick hike away from small country pubs or a short drive away from Whitby - where Bram Stoker's Dracula came ashore, hit Whitby for some fish & chips and have your palm read on the pier. This little area of Britain is a must for travellers and if you're thinking of getting a small group together, then La Rosa is a brilliantly clever way to enjoy the English country and some past treasures. Get there by car or take a train from Victoria Station in London! 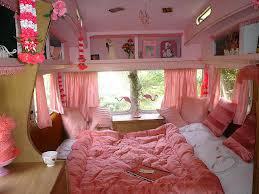 Cost: $91 (AUD) per van per night. including bedding, gas, candles & fire wood.